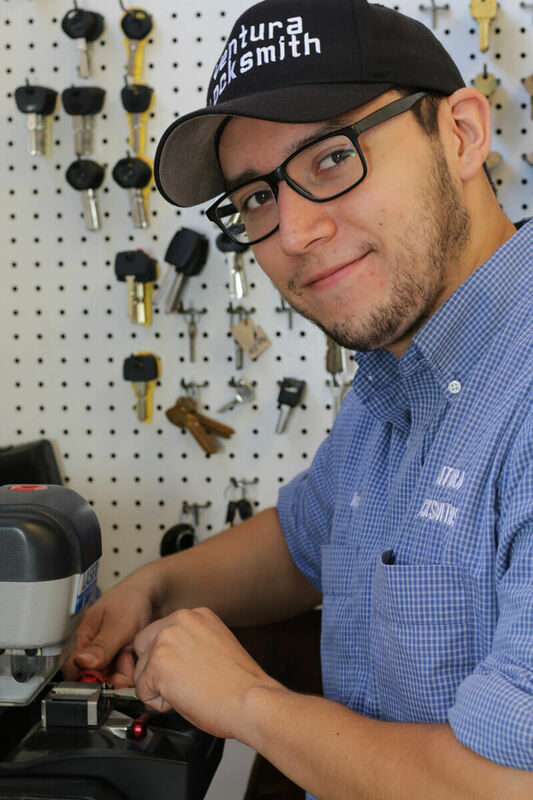 Ventura Locksmiths is Ventura County and Santa Barbara County’s best choice for locksmith services for Home, Auto and Commercial. Take a look at some of the great things that makes us such a good choice. 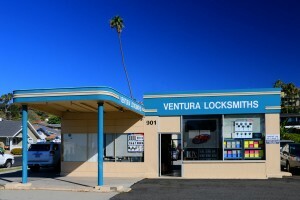 When you have a lock, key or security emergency any time of day or night, you can depend on Ventura Locksmiths! 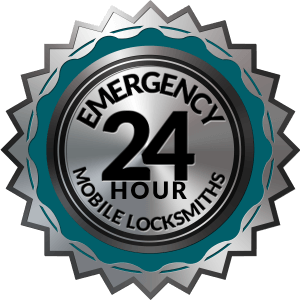 We have many mobile locksmiths that can respond to your needs anywhere in Ventura County or Santa Barbara County very quickly. We know you don’t want to be left waiting so our speed is our highest priority. Other locksmiths keep you waiting and have to come back with parts. Calling the wrong locksmith can mean you wait a long time — especially during the night, weekends or holidays. Not only that, many of them don’t have the expertise or the parts to service your needs on the spot like Ventura Locksmiths. While we can’t guarantee that we’ll have what we need on every call, we go to great lengths to make sure we have a super-high percentage of parts needed. 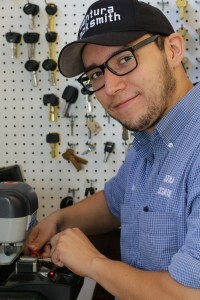 Professional Locksmith services by highly trained and committed locksmiths. We continue to invest in our locksmiths to keep up with the ever changing lock and security business with numerous continuing education training programs & courses. Attending Locksmith Expos all over the United States year after year. Exclusive Training Seminars for new locksmith products and techniques. Networking and Learning from Locksmiths from every part of the world. Our industry experiences change year after year. Keeping up to date is a priority to Ventura Locksmiths and continuing to invest in our locksmiths and products we offer. The most cited reason for our 5-Star Reviews on Yelp and Google is because of our super-fast response time and how quickly we get the work done. We are fanatics about this! As important as the speed is, equally important is that we do the job right the first time! Too many locksmiths rush the job and you wind up with keys or locks that don’t work later when you go to use them. We are fanatics about taking the time to do it right the first time to save you all that hassle and frustration later. To make this happen we have geared up with multiple highly stocked mobile locksmith vehicles. And to make sure the job is done right the first time and done expertly, we ONLY hire the best locksmiths around. We truly know our stuff and do all that we can to get to you quickly, no matter what time of day or night it is. Getting to be one of the best Ventura locksmiths with the excellent customer reviews was easy for us! 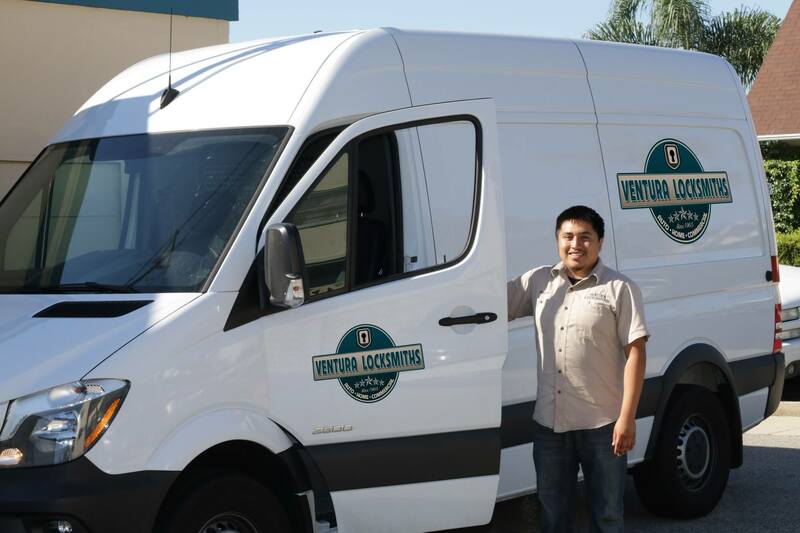 We simply did it by giving great service and going out of our way to make sure our customers get what they need. We don’t seek reviews, they all happen naturally! Of course, we have put a lot of work into gearing up to serve you as fast and as well as we have. We have hired only the very finest and most qualified locksmiths so the job is done right the first time, the way you need it. We also have invested heavily into the right equipment and training too. Then, we make sure all of our locksmiths have the parts they need on hand to complete your job. Call or come in today and you’ll see why our customers love our company too. A great storefront that carries an enormous stock of key blanks, accessories, parts and much more. Friendly and helpful people dedicated to giving you the very best service. View our Yelp! Reviews here.